While Ireland is suffering the worst crises in the history of our State in housing, homelessness and widening income inequality, we are, sadly, far from unique. 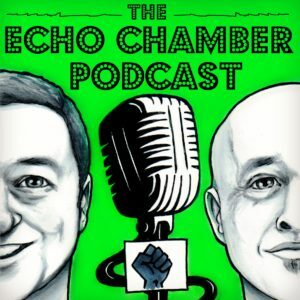 Our guest in the tortoise shack, staff writer with Jacobin Magazine, columnist with the Guardian and Author of Lean Out and the forthcoming book Where Will We Live, Dawn Foster, talks to us about the globalisation of these issues, the economic and ideological origins and what hope there is for change. Dawn has written brilliantly about inequality, the need for radical feminism and how the housing crisis, that was exacerbated by the financialisation of the human right to housing, is the best example of markets profiting from human misery. Dawn was in town to speak at Thresholds Housing conference and we were very grateful to them for arranging this opportunity to sit down with one of the best voices for change anywhere in the media today. Posted in Uncategorized and tagged The Echo Chamber.